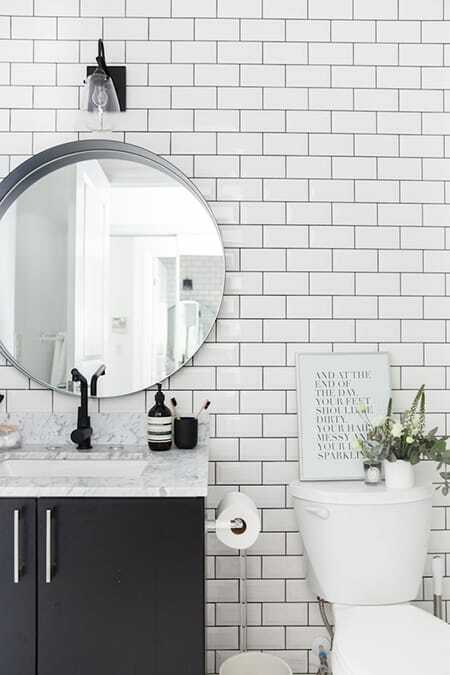 The most common choice for a bathroom mirror is a rectangle cut, but there is one very simple alteration that can make a big impact on the space: opting for a round mirror. Round mirrors are less expected, so they instantly capture your attention. The classic shape feels elegant and chic and suits any design style you can think of. You can find them with a variety of frames to suit your space, from bamboo to gold and everything in between. They’re also great for small spaces because they take up less wall space. 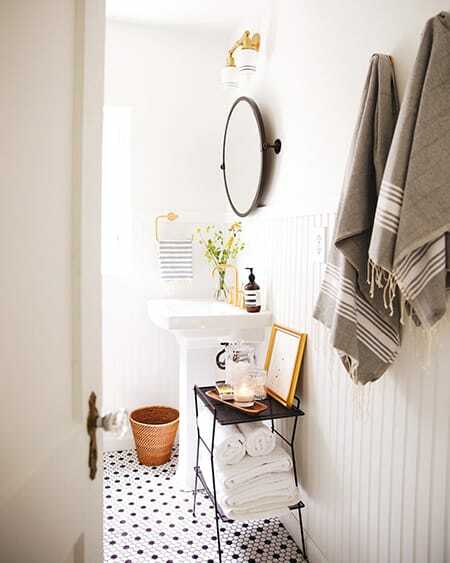 If you are looking for a way to uplevel your bathroom’s style without spending a lot of money, a round mirror is a great way to do just that. It’s a quick switch that will make a statement. 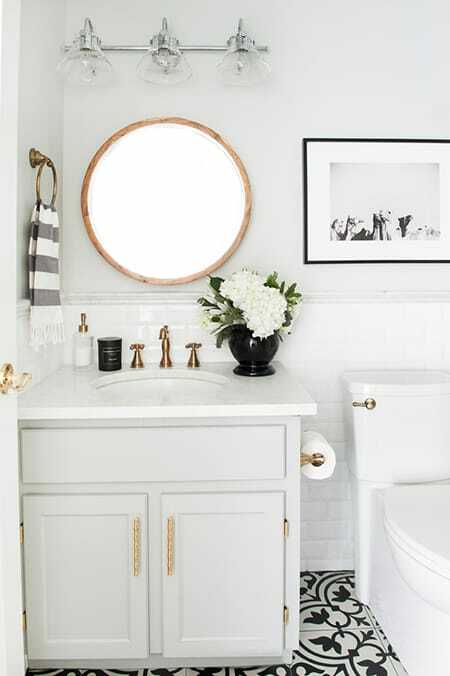 Here are 10 bathrooms with round mirrors to offer you some ideas and inspiration. 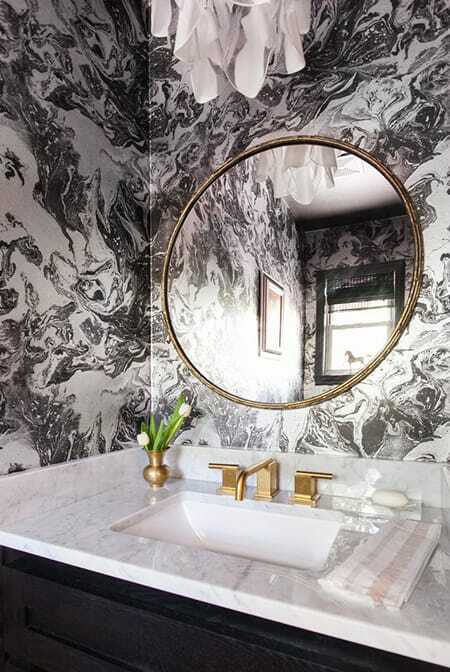 The round, gold mirror complements the marble-like wallpaper with its sinuous shapes. 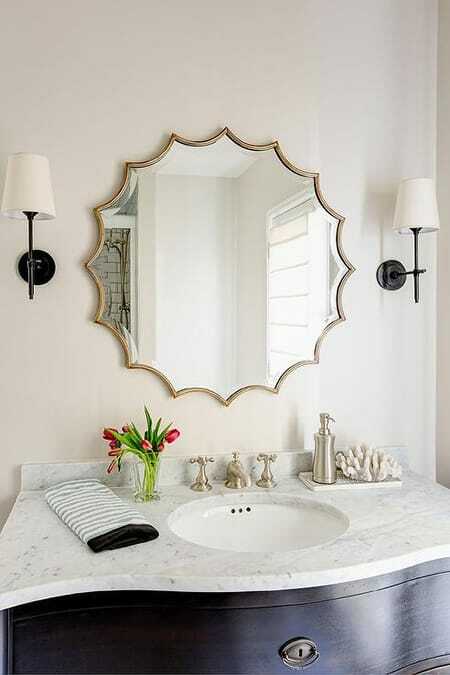 A small round mirror takes up little space above the vanity to make it feel less cramped. 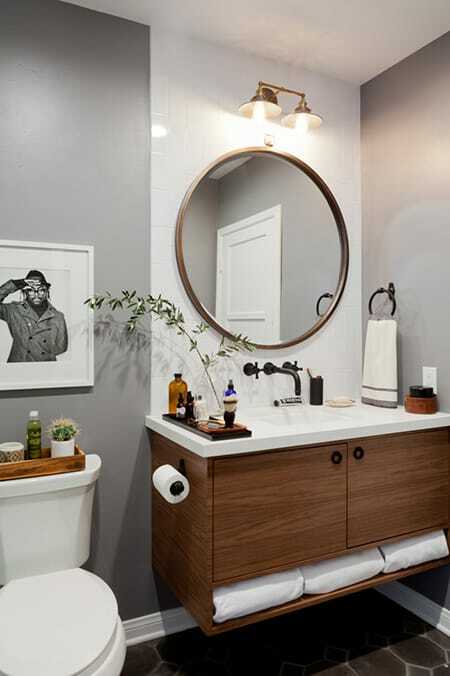 The round mirror is a nice contrast to all the straight lines in this powder bath. How adorable is this hanging mirror for a nautical-inspired touch? 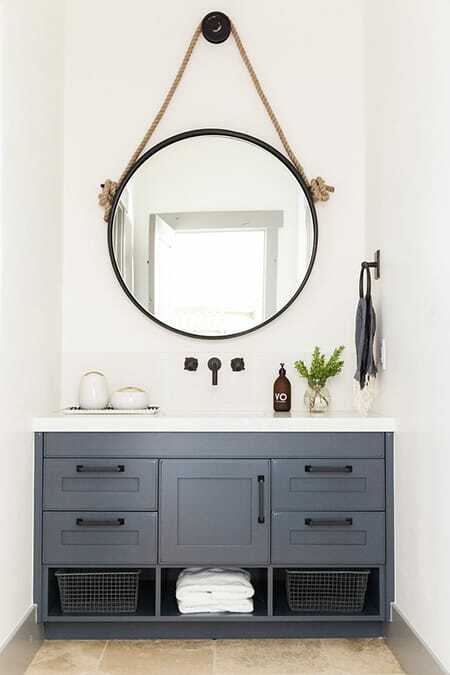 Again, the round mirror creates an intriguing contrast to the subway tile and vanity. 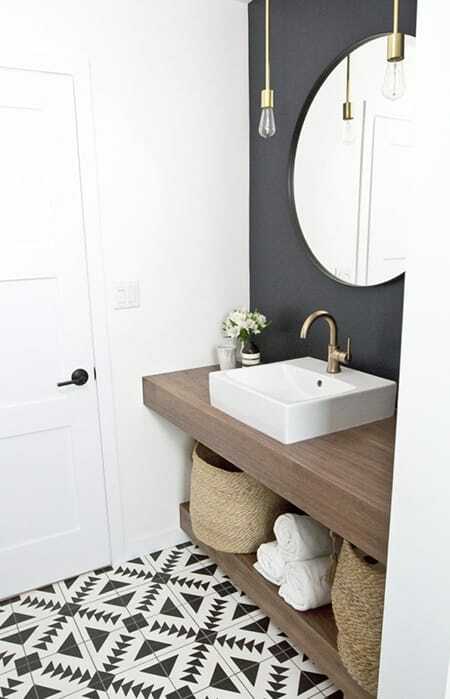 A pedestal sink and round mirror take up very little space to make this bathroom feel more open. 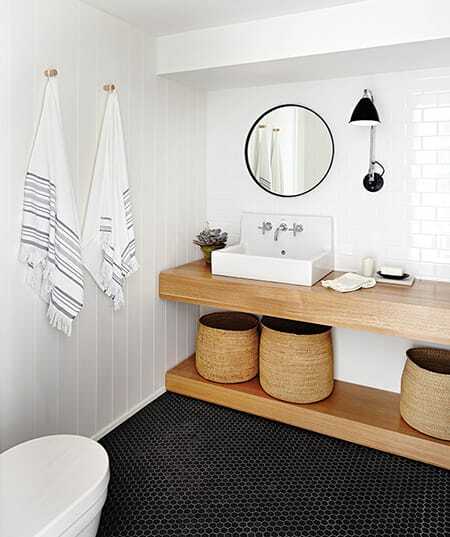 The round mirror mimics the tile and baskets. 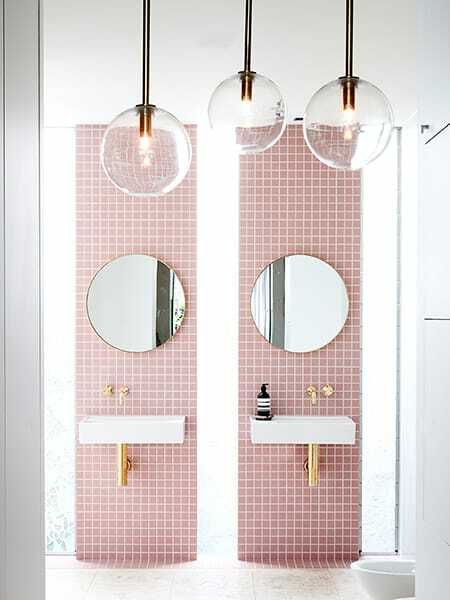 How darling is this symmetrical pink and white bathroom? The interesting shape of the mirror makes it a statement piece in this space. Minimalism offers a clean, zen-like quality that makes this space very relaxing and chic.